Chandler, AZ – Trace Investigations’ founder, Don C. Johnson CLI, attended the midwinter continuing education and training seminar of the National Association of Legal Investigators, founded in 1967. Johnson is a past National Director of NALI and currently serves as chair of its Advisory Committee. Indianapolis, IN – Trace Investigations Vice President, Tina M. Skirvin, attended the annual continuing education seminar for criminal defense investigators and attorneys, hosted by the Indiana Public Defender Council. Skirvin is one of only two Certified Criminal Defense Investigators in Indiana, an academy program offered by the Criminal Defense Training Council of Florida. Indianapolis, IN – Trace Investigations was a sponsor and exhibitor at the trial lawyers’ annual institute and conference held at the Indiana Convention Center. Las Vegas, NV – Trace Investigations’ staff specialist on open source intelligence gathering and social media investigations attended the annual OSMOSIS conference this fall. The OSMOSIS Institute was founded in 2015 by Cynthia Hetherington. Among the topics featured at this year’s summit were dark web investigations and online identity protection strategies. Scottsdale, AZ – The International Association of Security and Investigative Regulators represents over 32 regulatory agencies and boards in the U.S., seven Canadian provinces, France and S. Africa. At IASIR’s 25th annual conference this year, Don C. Johnson was elected First Vice President. Johnson is chairman of the Indiana Private Investigator and Security Guard Licensing Board, and has been a member of IASIR for several years. Cincinnati, OH – The National Association of Legal Investigators held its annual conference this month at Cincinnati’s Marriott North. In attendance were Trace Investigations’ team. Speaker topics included digital forensic examinations and mitigating false confidences in witnesses. Indianapolis, IN – Tina Skirvin and Kaytlyn Black, from Trace’s legal investigation team, attended a seminar hosted by the Indiana Society of Professional Investigators. Featured speaker was Kevin McClain, CCDI of Centralia, Illinois, who introduced the READI Response application that connects attorneys and investigators to accident and incident sites in real time scenarios. McClain is a member of INSPI, which was founded in 1997. Arlington, VA – Trace Investigations’ Don C. Johnson and Tina M. Skirvin attended a regional U.S. meeting of the Council of International Investigators in Arlington, Virginia, which featured seminars on human trafficking, FOIA research and asset investigations. Johnson and Skirvin are certified as international investigators by the Council. Orange Beach, AL – Tina Skirvin, CCDI, CII, attended the mid-winter executive board meeting of the National Association of Legal Investigators in Orange Beach, Alabama. Skirvin was elected National Secretary of NALI at its annual general meeting in Alexandria, VA last June. Bloomington, IN – The newest member of Trace’s team of professional investigators and research analysts is Kaytlyn R. Black. Kaytlyn is a criminal justice major and comes to us after working as a paralegal for a few years. She brings a wealth of experience in not only the legal field, but as an open source intelligence and social media research professional. Chattanooga, TN – In November, the International Association of Investigative and Security Regulators (IASIR) held its annual general meeting and conference in Chattanooga, Tennessee. Don C. Johnson, CLI, CII, Trace Investigations’ founder and president, serves as an IASIR Director-at-Large, in his role as the chairman of Indiana’s Private Investigator and Security Guard Licensing Board. Indianapolis, IN – The Indiana Society of Human Resources Managers held its annual conference in Indianapolis in August. Trace Investigations was one of over four hundred exhibitors at the Indianapolis Convention Center. Representing Trace as a background screening firm were Christine Koryta, managing partner of our background screening division, and Trace’s founder and president, Don C. Johnson. Alexandria, VA – Three members of Trace’s investigation team attended the 50th anniversary celebration and conference of the National Association of Legal Investigators at the Embassy Suites in Alexandria, Virginia; Don C. Johnson, CLI, Tina Skirvin, CCDI and Becca Gieselman, Trace’s newest legal investigator. NALI is a non-profit professional association representing investigators who provide litigation support for civil and criminal defense attorneys. Johnson is NALI’s National Director, its chief executive officer, serving the maximum two terms, from September 1, 2015 to August 31, 2017. Denver, Colorado – Don C. Johnson, CLI, president and founder of Trace Investigations, attended the annual general meeting and conference of the International Intelligence Network, Ltd. at the Doubletree Hotel in Denver, Colorado. Intellenet is a private network of professional investigators and security consultants with backgrounds in law enforcement and military intelligence. Johnson serves on Intellenet’s Board of Directors and edits its quarterly journal, Intellenet News. Bloomington, IN – Linda Duncan, a key analyst with Trace Investigations’ background screening business, has received the FCRA Basic Certification from the National Association of Professional Background Screeners. The federal Fair Credit Reporting Act and the states’ counterparts govern the pre-employment and post-employment screening of job applicants. Background Trace provides background investigations and screening services to Indiana’s small business and corporate communities. Indianapolis, IN – On August 3, 2016 Indiana Governor Mike Pence signed an order reappointing Trace Investigations founder and CEO, Don C. Johnson, CLI to the Indiana Private Investigator and Security Guard Licensing Board, a division of the Indiana Professional Licensing Agency. Johnson has served on the licensing board since 2001 and is currently the board chairman. Bloomington, IN – A recent graduate of Indiana University with a major in journalism, Rebecca Gieselman has joined the investigations division of Trace Investigations as a legal investigator and research analyst. A lifelong resident of Bloomington, “Becca” will specialize in social media research and case support services in civil and criminal investigations. Bloomington, IN – Linda Duncan of Ellettsville, Indiana, formerly of New York, has joined the pre-employment screening division of Trace Investigations as a research analyst. Linda comes from a background in human resource management and information services. Bloomington, IN – Local private investigator Don C. Johnson, owner of Trace Investigations, Inc., was a panelist at the annual conference of the International Association of Security and Investigative Regulators in New Orleans in November. Licensing regulators and industry representatives from 25 states, two Canadian provinces and Paris, France were in attendance. Johnson is chairman of the Indiana Private Investigator and Security Guard Licensing Board. He was part of a panel and roundtable discussion on how threats and disruptors in the regulated sectors threaten public safety. Bloomington, IN – Tina M. Skirvin, a legal investigator with Trace Investigations, Inc. in Bloomington, has been awarded the Certified Criminal Defense Investigator designation by the Criminal Defense Training Council. The Council “… encourages the philosophical and methodical approach to the investigative process…” and recognizes criminal defense as “… a highly specialized discipline within itself.” A former paralegal and criminal court reporter, Ms. Skirvin has been with Trace Investigations since 2008. Bloomington, IN – Don C. Johnson, Certified Legal Investigator and owner of Trace Investigations in Bloomington, is the incoming National Director of the National Association of Legal Investigators, the nation’s leading professional association providing continuing education and training for investigators who provide litigation support for trial attorneys in the civil and criminal courts. Bloomfield, IN – Tina Skirvin, with Trace Investigations in Bloomington, worked side by side with attorney Kitty Liell in the successful defense and acquittal of a client by a Greene County jury on March 13. Tina’s uncovering of evidence proved critical to the “Stand Your Ground” self-defense in a murder case. Bloomington, IN – Christine Koryta has joined Trace Investigations as the managing partner of its pre-employment screening service. Christine brings with her several years of experience in organizational administration and resource management. Christine is a member of the National Association of Professional Background Screeners, the Indiana Association of Background Screeners and the South Central Indiana Human Resource Association, a division of the national SHRM. Bloomington, IN – Tina Skirvin, with Trace Investigations, Inc. in Bloomington, attended the annual conference of the National Defender Investigator Association, April 24-26 in New Orleans. NDIA is the only national organization dedicated solely to continuing education for the investigative arm of indigent defense. Bloomington, IN – One of southern Indianan’s best known private investigation firms has launched a new website. Don C. Johnson, the firm’s owner said, “Technology moves fast and our new website better reflects the benefits we bring to our market.” Johnson founded Trace Investigations in Bloomington in 1990. January 2014 – Tina M. Skirvin Joins Trace Investigations, Inc.
Bloomington, IN – Tina M. Skirvin of Bloomington is the latest full time employee of Trace Investigations, Inc. Tina has been with the firm since 2008 as a part-time investigator, in addition to her duties as a criminal court reporter in Monroe County Circuit Court. Previously, Tina worked as a paralegal at a Bloomington law firm. Bloomington, IN – Trace Investigations, Inc. was profiled in the fall issue of Bloom Magazine in Bloomington, Indiana. The article, “The Life of a Private Eye Ain’t What You See in Old Movies,” highlighted the firm’s work in its Business and Finance section. Trace Investigations was established in Bloomington in 1990 by Don C. Johnson, a former military intelligence analyst. July 2012 – IU Graduate Joins Trace Investigations, Inc.
Bloomington, IN – Ashley D. Reger, with a major in criminal justice from Indiana University, has joined Bloomington private investigations firm Trace Investigations, Inc. During her senior year, Ashley worked at Trace Investigation in its background screening division. Bloomington, IN – At its annual meeting in Indianapolis, the Indiana Society of Professional Investigators recognized Don C. Johnson, CLI, founder of Trace Investigations, Inc. in Bloomington for his “leadership and dedication” in advancing the private investigation profession in Indiana. Johnson is a founding member and past president of the society. Bloomington, IN – The National Council of Investigation and Security Services awarded Don C. Johnson, CLI, of Trace Investigations, Inc., Bloomington, Indiana its 2009 “Excellence Award” for his many years of service as editor of NCISS’s quarterly journal, The Report. Bloomington, IN – Bloomington legal investigator Don C. Johnson, CLI was re-elected as chairman and president of the Indiana Private Investigator and Security Guard Licensing Board at its January meeting. The PISG Board, known previously as the Private Detective Licensing Board, is a division of the Indiana Professional Licensing Agency. Johnson, owner of Trace Investigations, Inc., was appointed to the board by the late Governor O’Bannon. Bloomington, IN – Local firm Trace Investigations is moving to new offices in downtown Bloomington to support new growth and better serve its clients. For more information on the firm go to www.traceinvestigations.com. Bloomington, IN – A team of private investigators from Trace Investigations in Bloomington, Indiana were recognized for their work in their criminal defense investigation in the People of Illinois vs. Julie Rae Harper. Ms. Harper was found innocent in the murder of her son. The Trace Investigations team helped establish reasonable doubt by placing a known spree killer near Julie’s home the week of the crime. Her defense was led by attorneys from the Innocence Project at Bluhm Legal Clinic at Northwestern University School of Law. April 2006 – IU Graduate Joins Trace Investigations, Inc.
Bloomington, IN – Michael J. Koryta, with a major in criminal justice from Indiana University, has joined Bloomington private investigations firm Trace Investigations, Inc. as an investigator. While at IU Michael worked part-time at Trace and at the Herald Times as a reporter. Bloomington, IN – PI Magazine, a journal for professional investigators, has published an article by Don C. Johnson, CLI in its January/February issue. “Gypsies, Travelers and Thieves” profiles the Roma and Irish clans involved in criminal enterprises throughout the U.S. Johnson is the founder of Trace Investigations in Bloomington, Indiana. Bloomington, IN – Certified legal investigator Don C. Johnson, owner of Trace Investigations, Bloomington, Indiana, was a featured speaker at the Investigators Super Conference in New Orleans last month. Johnson and colleague George Michael Newman of San Diego gave a presentation on “Investigating Suspicious Fatalities,” profiling cases where incorrect determinations were made at death scenes by coroners. Bloomington, IN – Bloomington private investigator Don C. Johnson has authored a chapter in another reference text for attorneys, corporate executives and investigators. Corporate Investigations, published by Lawyers & Judges Publishing Company last year. Johnson authored chapter 11, “The Due Diligence Investigation.” Chapters authored byJohnson appear in two previous publications from Lawyers & Judges, Advanced Forensic Civil Investigations and Advanced Forensic Criminal Investigations. Bloomington, IN – Governor Frank O’Bannon has appointed Bloomington private investigator Don C. Johnson to the Indiana Private Detective Licensing Board, a division of the Indiana Professional Licensing Agency. The licensing board has final approval on all applications for the licensing of private investigator firms and security guard agencies in Indiana. Johnson’s firm, Trace Investigations, was established in Bloomington in 1990. 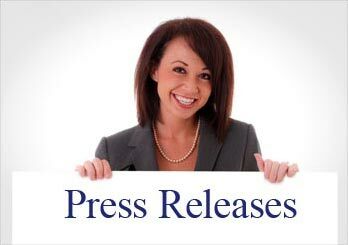 January 2001 – Becky Johnson Joins Trace Investigations, Inc.
Bloomington, IN – Rebecca Medlock Johnson has joined Trace Investigations as its Chief Financial Officer. Becky has a background in business development and banking. She was an officer with Bank One for a number of years. Bloomington, IN – Trace Investigations, a private investigation firm in Bloomington, Indiana, has been granted membership in the Council of International Investigators, an association representing investigators from over two dozen countries. In granting the membership to Trace Investigations, the Council “reposed special trust and confidence” in the firm’s founder, Don C. Johnson. Bloomington, IN – The National Association of Legal Investigators presented its distinguished Certified Legal Investigator designation to private investigator Don C. Johnson at its annual conference in Chicago last month. There are less than 100 CLIs in the country. The certification requires publication of a white paper and a day of intensive testing and peer examination. At the same conference, Johnson’s white paper, “Suicide Investigations,” won first place among NALI’s editor/publisher awards. May 1995 – Buddy Newlin Joins Trace Investigations, Inc.
Bloomington, IN – Longtime Bloomington resident Nigel “Buddy” Newlin has joined local firm Trace Investigations as a surveillance operative and process server. Buddy is a veteran of the US Army and served with the First Infantry Division, “The Big Red One,” during the Vietnam era. Bloomington, IN – Bloomington-based private investigator Don C. Johnson, owner of Trace Investigations, has joined an advisory committee on the establishment of a digital court records database, in an agreement between AT&T and the Indianapolis/Marion County government. Bloomington, IN – Don C. Johnson, a former military intelligence analyst and insurance defense investigator has opened Trace Investigations in Bloomington, Indiana. Johnson spent the last five years working for private investigation firms around the country before opening his own agency. He is not new to the area, having attended Indiana University after serving in the U.S. Air Force. Johnson is a graduate of the U.S. Defense Language Institute. To eliminate doubt that could jeopardize the outcome of a serious matter please call us at 812-334-8857 for a FREE consultation. Nothing on our web site should be construed as legal advice. Always consult with qualified legal counsel for questions or advice on all legal matters. © 2019 Trace Investigations | Developed and Designed by True Perceptions, Inc.